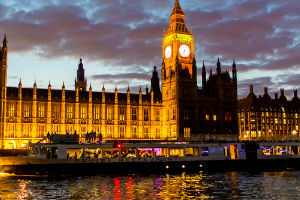 Restaurant Cruises in London operate from either Embankment or Westminster Pier and offer a great way of enjoying a meal as you sail past the icon sights of the city. From the centre of the river guests get a unique view of the Houses of Parliament, London Bridge, Tower Bridge, the Docklands and the Millennium Dome whilst at the same time enjoying first class service and a delicious meal prepared by the onboard chefs. 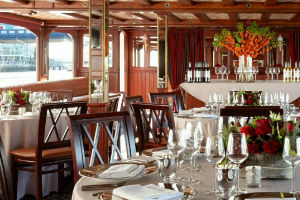 London Restaurant Cruises operate every day for Lunch, Afternoon Tea and Dinner and prices start at just £36 per person. If you are looking for an alternative way to celebrate, then look no further than the River Thames! 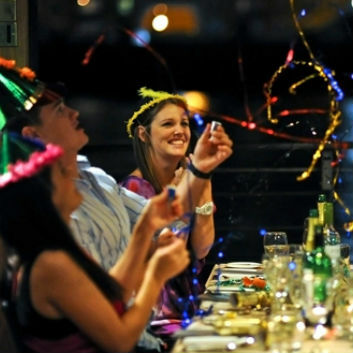 Here at Thames Dinner Cruise, we offer a full selection of seasonal and special event cruises. Whether you are looking for an office Christmas party, want to impress a loved one on Valentine’s day or plan to bring in the New Year in style. 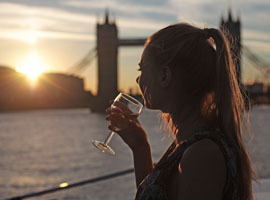 You’ll be sure to find a Thames Dinner or Lunch Cruise package to suit all your needs. Organising a group of people can be challenging. 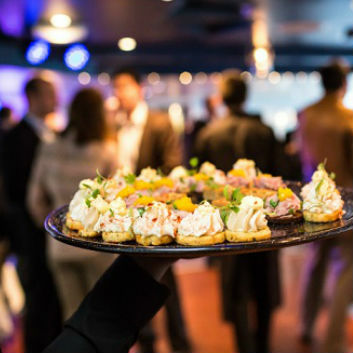 Here at Thames Dinner Cruise we have expert planners that can help to organise your event, with private rooms and exclusive boat hire suitable for groups of 10 up to 400. Impress your guests with a private area on-board a shared cruise. A bespoke cruise tailor-made to your exact event requirements. 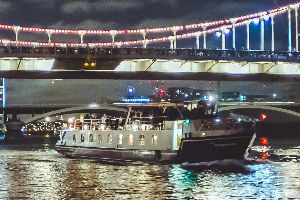 With piers lining the River from Putney to the O2, why not arrive in style at your venue? Our gift vouchers are valid for 12 months allowing your recipient to choose from a wide range of dates. With prices starting from £39 per person, our Thames Dinner Cruise Restaurant Gift Vouchers provide amazing value for money and a wonderful gift for anyone. 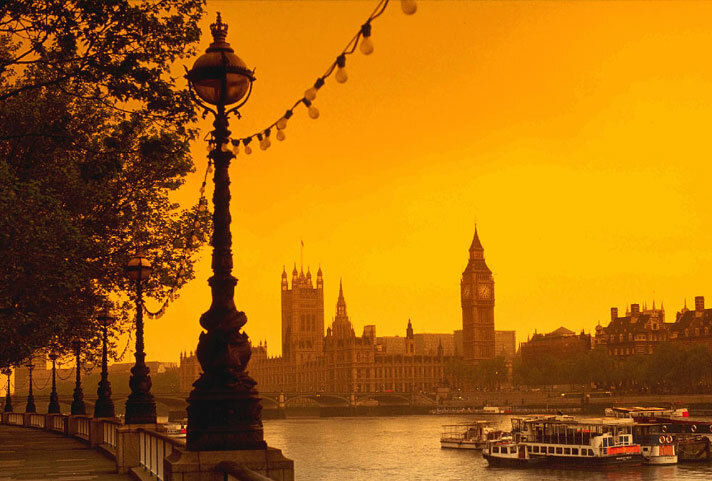 Treat your guests to a magical journey through the heart of London, as they sail along one of London's greatest assets. Cruising past the Houses of Parliament, the Globe theatre, the Tower of London and through Tower Bridge provides a wonderful new perspective to these famous historical sites, combine this with the modern architecture of the London Eye and the Shard, and you have a truly amazing backdrop to your event. The river Thames is 215 miles long, making her the longest river in England and the second largest in the UK. Throughout history the river Thames has played important roles in trading, shipbuilding and leisure.